The Centre has evolved criteria to identify posts in the PSUs, public sector banks and financial institutions comparable with those in the government to exclude the 'creamy layer' for the purpose of granting reservation benefits to the OBC employees. 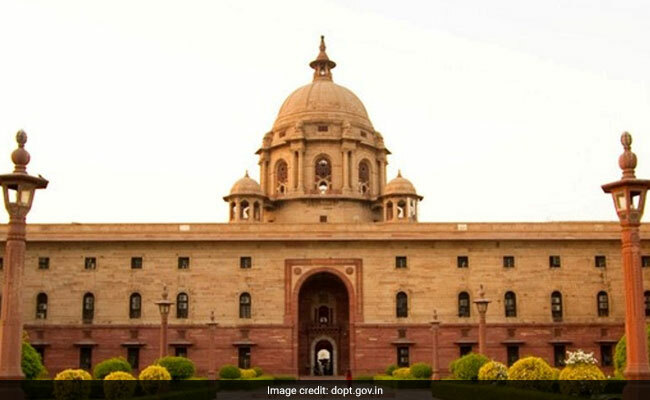 New Delhi: The Centre has evolved criteria to identify posts in the PSUs, public sector banks and financial institutions comparable with those in the government to exclude the 'creamy layer' for the purpose of granting reservation benefits to the OBC employees. A proposal to this effect was examined and approved by a panel of ministers and sent to the Union Cabinet for its final nod, a senior government official said. The same panel had recently cleared the proposal to raise the 'creamy layer' ceiling for the Other Backward Classes (OBC) category to Rs 8 lakh per annum from the existing Rs 6 lakh for central government jobs. The need to draw up the criteria arose as there was lack of clarity in the comparable posts in the state-run undertakings and the government. The exercise to draw up the set of criteria was undertaken almost 23 years after a 1993 office order of the Department of Personnel and Training (DoPT) providing for 27 per cent quota for the OBCs in government vacancies and laying down categories under the creamy layer. This order merely stated that the criterion enumerated for Group A and Group B posts in government will apply to officers "holding equivalent and comparable posts" in the PSUs, banks and financial institutions. "A vigorous exercise was carried out following which the criteria have been drawn up for equivalence of posts in PSUs,government banks and insurance organisations among others with those in the government. "The proposal was for enhancement of the income ceiling for exclusion of creamy layer and has been approved by the panel of ministers and sent to the Union Cabinet," the official said. He said the move was aimed at ensuring parity between the posts in the state-run financial institutions with those in the government for the purpose of granting quota benefits to those eligible. "There were discrepancies in granting benefits to the OBC employees of such organisations and some were getting undue benefits in the absence of a comparative chart of posts across government and PSUs," he said. Under the 1993 memorandum issued by the DoPT, certain categories are listed under the creamy layer. While categories like constitutional posts, Group A/Class I and Group B/Class II were clearly mentioned in it, there was no clarity in regard to the employees of PSUs, banks and insurance organisations. The order further stated that pending the evaluation of posts on equivalence or comparable basis in these institutions, the criteria of income test would apply to the officers there.